The Raiders in 2013 may look a whole lot different than the past, at least if their new offensive coordinator has anything to say about it. 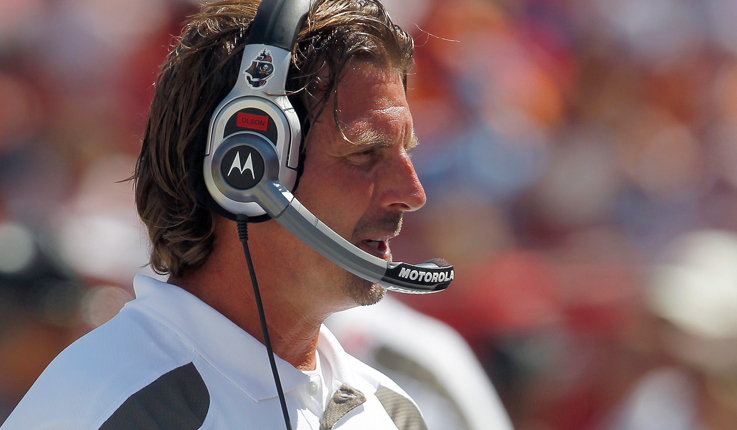 The Raiders hired former Jacksonville quarterbacks coach Greg Olson as their new offensive coordinator. 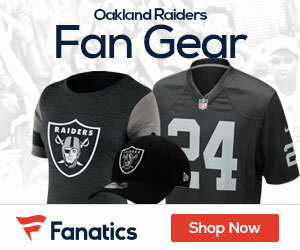 Coach Dennis Allen interviewed a number of candidates, including Norv Turner and Marc Trestman, before settling on Olson to replace the fired Greg Knapp. The shift in philosophies from last season’s offense is a clear acknowledgment that McFadden was not suited to a zone running scheme. Olson previously served as offensive coordinator with Detroit, St. Louis and Tampa Bay. In Olson’s two years with the Rams, running back Stephen Jackson rushed for at least 1,000 yards in 2006 and ’07, including a career high of 1,528 his first season. Olson also helped LeGarrette Blount get a 1,000-yard season in Tampa Bay and played a key role in the development of Buccaneers quarterback Josh Freeman. Freeman threw 25 touchdown passes and six interceptions and posted a career-best 95.9 rating in 2010 with Olson calling plays. Olson has 26 years of coaching experience, including 15 in college and 11 in the NFL. Along with Freeman, he has also worked with quarterbacks such as Marc Bulger (St. Louis), Jeff Garcia (San Francisco) and Drew Brees (Purdue).